New Course: Become a Google AdWords Expert in 28 Days! There is a shortage of qualified Google AdWords professionals in the marketplace. I hope to change that by giving away everything I know about AdWords online, delivering 28 daily lessons. Do you want to advance your career by becoming Google AdWords Certified? Or do you want to give a friend or colleague the gift to kick-start their marketing career? Then you will want to sign up for our PPC Course. Why an AdWords course and why right now? As a data driven marketer, I do exactly what I preach: make decisions with data. In December I surveyed Knowledge Land members to see what topic was on their mind. What did they want to learn the most in 2015? A friend told me he would pay me a pretty penny if I could create a course that could introduce people to Pay Per Click Marketing from beginner to advanced in a matter of weeks. That course sounds awesome, doesn’t it? You can learn everything I know about AdWords in a month. These same lessons in a classroom would cost you $1,000 or more. Try beating that! When you say “everything you know” what does that mean? Battle stories – like the one where I spent $3,000 in about 15 minutes on accident. Money topics – like how to build a PPC team, agency and revenue model. Elephants in the room – like how to deal with Google and why you can’t always trust their motives (sorry Google). 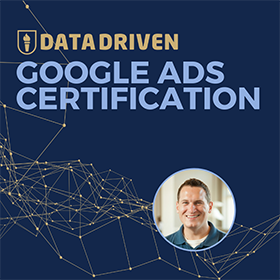 Certification training – all of the skills you need to pass the Google AdWords certification exam. And why that’s important for careers in search marketing. Insider tips – like how to get an interview for a PPC position, the test I used to give candidates before hiring and how much you should be paid. Each day of the course you receive an email introducing the daily lesson. That email will take you to a page where you can review the video we have produced for the day. For those of you who prefer to read, we are planning to make transcriptions and images available as well. What are the lessons and topics? A lot has changed in the 10 years since I launched my first AdWords campaign, but many things remain the same as well. Learn more about your instructor and how he was able to deliver out of this world results for clients. Learn how you can do the same with your master of AdWords. Knowing everything about AdWords starts from the beginning. Learn how to set up an initial AdWords account, what settings to choose and common gotchas to avoid. Get an understanding of campaigns, ad groups, ads and keywords; the core components of AdWords. Learn how they all work together to form your advertisements. Right away we start to get into the most efficient ways to manage AdWords. Hint: it’s not one campaign with the default settings. Learn the exact settings you should select for your campaigns in each scenario. Google AdWords would not exist without people searching on Google. The main input for searchers are keywords, and this is also the main targeting method in AdWords. Learn all about keywords, match types, negative keywords and how to generate them. Access the search query report to see some of the crazy things that are happening behind the scenes. While the text ad format is fairly easy to understand, finding the right creative is part art and part science. Get to know both the art and science behind the ads you run in AdWords. An algorithm that rates the effectiveness of your ads. It can be your best friend or worst nightmare. Learn how to use it to your advantage! How do you maximize your results while minimizing your ad spend? Here are some strategies that will lead you well on the path to peak efficiency. Now that you see how campaigns are up and running, it’s time to get more efficient. Learn some of the tools that go into building top performing AdWords campaigns. Get familiar with the metrics that you will be seeing throughout the AdWords interface. Learn which metrics are important and which ones can be misleading. Beyond the basic AdWords implementation, you can also extend your ads in several creative ways. Learn your options and when to best use them! After we become comfortable advertising on Google, it comes time to measure results. Without an understanding of what is working, it’s very difficult to become efficient. Learn about tracking pixels, conversion optimization and how to troubleshoot when things aren’t working. Do you want to advertise in Canada? That will happen if you don’t check your default settings. Learn about country, language, city and state targeting in AdWords. Credit card billing, invoicing and more. Learn how Google AdWords spend on credit cards paid for my honeymoon! Large advertisers often have dedicated teams from Google. They can provide you with great insider research and industry benchmarks. Learn how to use this to your advantage while being cautious about the recommendations. Manage multiple AdWords accounts in one place? Yes please! Learn how My Client Center (MCC) works and why we all need one. Many advertisers spend with AdWords and fail to see the value. They simply don’t make enough money to justify the amounts they pay per click. Learn how to drive a positive return with any AdWord account. Step outside of your world for a minute to see how your ads look in the real world. Would you click on them if you were a prospect? How do you appear to searchers? Advertise on millions of websites with the Google Display Network (GDN). Understand remarketing, targeting, ad formats and exclusions. Should you treat mobile visitors differently than your main site? Probably! Learn how to differentiate this traffic and make sure you are always advertising in the right place. With great advertising power comes great responsibility. Learn how to manage a Google AdWords account the right way. User administration, change history, account access and more. Big accounts have the temptation to use software to automate common tasks. Is software the answer? Learn how to assess the situation and take a strategy-first approach. Most AdWords accounts don’t age gracefully. Learn the maintenance that you need to do in order to keep running in peak-condition. Lesson 24: How to get Compensated for Your Work? Time to start talking about money. Learn revenue models for PPC management agencies, consultants and software vendors. Understand how to charge for your work fairly for both manager and advertiser. As a hiring manager who saw thousands of resumes for PPC positions, I saw the good, bad and ugly of job seekers. Learn how to avoid the most common mistakes and make yourself look more appealing. How do you deal with clients who are unreasonable? What is the career path for someone getting into this field? Learn that and more. For pure e-commerce companies, here is a method for generating strong revenues and return on investment. Learn how it works and where you can get started. At the end of this course, we want you to be a certified Google AdWords individual. Learn what that certification means and how to achieve it. Then pass that test and basque in the glory! This is not a product demo with AdWords, but rather a blueprint for becoming a great search marketer. I have been fascinated with paid search marketing since 1999, when my dad showed me the keyword campaigns he was running with Overture (now Yahoo Search Marketing). When I started getting really serious about the business 10 years ago, there was very little information available teaching you how to be a great search marketer. I had to figure it out myself. This course draws from all of the energy that went into growing a business through paid search. 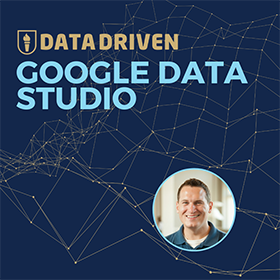 We cover lessons learned while managing well over $20,000,000 in AdWords spend. We give a perspective of what it was like to go from managing our first $100/month campaign to managing millions in spend each year. We share secrets of how to get your resume noticed by prospective employers. We make you excited to apply everything that you learned. Why are you making this course again? Because I banged my head against a wall for 5 years trying to find qualified professionals to fill roles in search marketing. It took a hundred resumes to get 5 quality interviews, and several rounds of interviews before landing an employee who fit with the culture of the company. And had the skill that we needed. It didn’t take long to realize that the talent levels would never grow if the industry didn’t do anything about it. I could either place responsibility for training on the “industry” or I could take on that responsibility myself. That responsibility came in the form of teaching classes in Minneapolis at the DemandQuest training institute with Ted Kozlowski. Together, we developed Google AdWords and Google Analytics certification courses that have had thousands of students. Word spread and soon we had requests to hold classes for people all over the world. As much as I like world travel, it is difficult to fulfill all of those requests in person. That is why I have taken to the online world to teach those who want to learn about Digital Marketing. 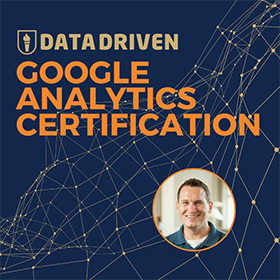 Now we take you to Google Analytics certification or Google AdWords certification in matter of several weeks. This course is going to start in February and showcase 28 lessons in 28 days. You can start on February 1st or any time in the future. Over the course of 28 days I will teach you everything that I know. Will I really be a Google AdWords expert at the end? You will have more knowledge than 99% of the marketers I interviewed during my agency days. You will also be taking the Google AdWords certification exam to prove your expertise. By learning from an expert, you will think and act like an expert. Why should I learn from you, Jeff Sauer? Because I am going to show you the skills you need to make more money. I am going to entertain you. You will be drinking from a firehose of information, and you will keep on coming back for more. Time will fly by, and within a month you will be a force to be reckoned with! Don’t just take my word for it, here are some testimonial tweets and presentations that have reached hundreds of thousands of marketers all over the world. @jeffsauer been fans of @jeffalytics blog for a while. Love to know what you think of our ppc budget tracking app http://t.co/SHjmbuhFKe. I created an online Google AdWords that teaches professionals how to become more comfortable with Google AdWords. The course features a lesson a day for 28 days. Most of the lessons are conducted right within the Google AdWords interface and provide a thorough understanding of how AdWords works from the inside out. Not only will you gain a complete understanding of AdWords, but you will have fun along the way!